"Delivered my Dufour 44 from Marseille to Plymouth, happy with everything"... Nigel Sylvester..
Competitively priced yacht delivery service based in the UK. We delivery all types of sail boats and motor boats any where in the world. 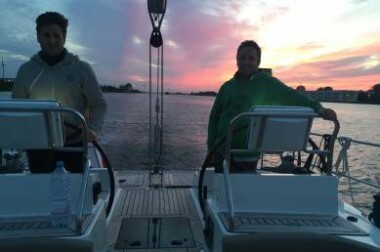 Our skippers carry commercially endorsed yacht masters certificates and have the necessary skipper liability insurance. Please give us a call for a no obligation quote 07901521078 or fill in our enquiry form for a quote. 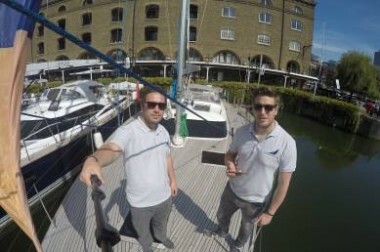 Yacht Delivery UK is an establishment yacht delivery company. We are based in Essex but are happy to travel all over the UK and Europe delivering yachts or motor boats. We have a number of highly experienced skippers and crew and can accommodate virtually any type of delivery, whether it be an international 2 / 3 week trip or a U.K to U.K. Our senior skippers are all Yacht masters with the most senior being a Yacht master examiner. Our deliveries have included commercial and private craft, and various different destinations. This website will be populated with pictures and blogs from our most recent yacht deliveries which will hopefully give an insight as to how we work. 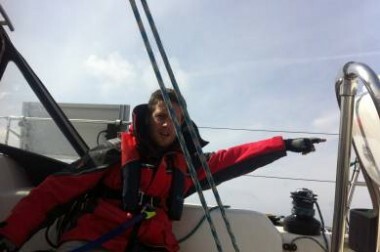 The skippers will diarise every trip trying to give you first hand experience of how they deal with everyday problems whilst sailing. They will include pictures so hopefully you will have the very best idea of how the company ethics benefit our clients. Our Yacht delivery service is personal and professional at the same time. Owners of yachts will be very proud of their vessels and are often reluctant to pass them over to a third party to deliver. We try to give every reassurance we can that the boat is in safe hands and are happy to accommodate a client on board if they would like to travel with us. if you would like further information, please call or complete the contact form. What Qualifications do the skippers have? All our skippers are Commercially Endorsed Yachtmasters. What Qualifications do the crew have? Do you sail through the night? Depending on the time of year and passage, our skippers will happily sail for 24hrs. The aim is to get from A to B as safely and as efficiently as possible. Do I have to provide food? Basic food stores will be expected to be provided by the owner and be on the boat prior to the skipper joining. If this is not possible, then the skipper will happily stock the boat with the essentials. As a basic level we budget £7 per person per day for food and drink. If any of the crew require any special dietary requirements it will be down to them. Do I need to put fuel in the boat? We would expect the boat to have full water and fuel tanks. If this is not possible then it can be arranged with the skipper prior to joining the boat. Do I need to provide a float? We would expect a float to be with the skipper prior to departure. The float will be to cover any fuel or marina costs or to stock up the boat with food or drink. All receipts are kept to show where the float money has gone. The level of the float will depend on the delivery. Will you clean my boat? Our skippers and crew are carefully selected and are very conscientious of the boat. At the very least we would leave the boat as we found it, but as standard would wash all the toilets out, floors swept and moped and decks rinsed with fresh water. What happens if the delivery is delayed due to weather? 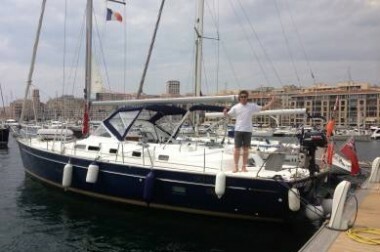 With every contract we have a fixed price which allows for an agreed sailing timeframe. We always add on about 15% to give room for slight delays. If however the delivery is delayed past this period a delay fee would be charged on a daily basis. This is to cover the skipper and crew against unforeseen weather conditions or boat malfunctions. In any event we would discuss with the owner if it is better to fly crew home or for them to remain on the boat to see out the delay. What happens if the skipper thinks the boat isn’t seaworthy or the weather is bad? The skipper will not sail if he feels the boat isn’t ready or the weather is not right. The skippers decision will be final on this, however, our skippers sail in all kinds of weather and will often sail when most wouldn’t. But they still have to put the safety of the crew and boat first.